Most major handset makers are moving in unison to bezel-less, curved-edge designs but not Sony. The Japanese electronics maker at IFA has unveiled the Xperia XZ1 smartphone, an upper-end mid-range (or is it, low-end top-tier?) device sporting some rather unique camera tricks in a chassis that’s unmistakably Sony. The XZ1 features a 5.2-inch, 1080p HDR display coated in Corning’s Gorilla Glass 5. The experience is driven by Qualcomm’s venerable Snapdragon 835 SoC mated to 4GB of RAM and 64GB of flash memory (expandable via microSD card slot). In terms of aesthetics, you’re getting the same boxy design with top and bottom bezels that Sony has long been known for. I suspect many will take one look at the boxy phone and eliminate it from contention although personally, I’m still not entirely sold on the bezel-less, curved-edge trend. In my limited experience, it sacrifices usability and practicality simply in order to “look neat” but that’s a discussion for another time. The real star of the show here is Sony’s camera system. 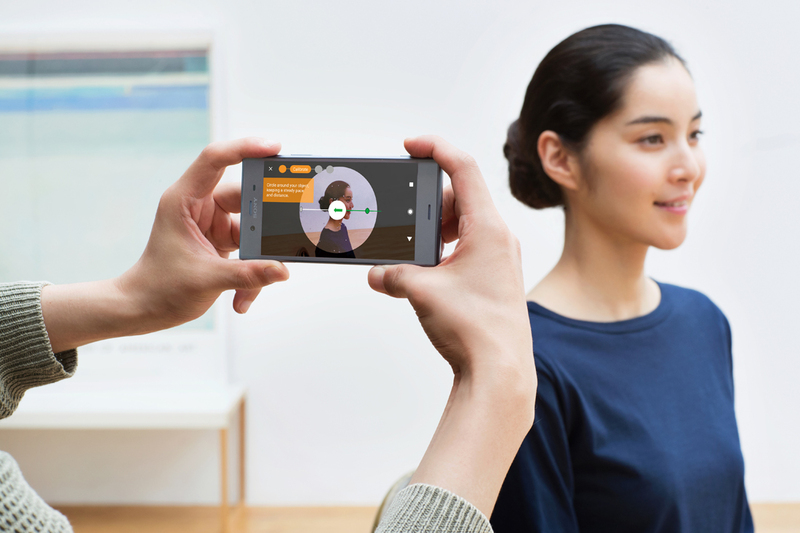 The XZ1 utilizes the latest Motion Eye camera with a 1GB memory-stacked, 19-megapixel image sensor that borrows technology from Sony’s ‘α’ and Cyber-shot camera ranges. In addition to being zippy, the camera offers super slow motion 960 fps video capture, can produce 3D scans of people and objects in under a minute and a Predictive Capture feature to help ensure you get the perfect shot. A 13-megapixel shooter resides up front that’s equipped with a 22mm, f/2.0 lens for selfies and the like. It’s also worth noting that the XZ1 will come loaded with Google’s new Android 8.0 Oreo operating system and carry an IP68 rating against the elements. Look for the Sony XZ1 to land on September 19 priced at $700 in your choice of blue, black, silver or pink color schemes.